One of my biggest regrets from the last six years is that I have more or less abandoned all creative pursuits outside of those directly related to my work. I used to do a lot of photography, quite a bit of writing, and the occasional bit of exercise (yes that is a creative pursuit). A few years ago I went to an art exhibit at the Horse Hospital here in London, where I saw a piece which was some very beautiful embroidery based on traditional tattoo designs. I have, sadly, forgotten the artist's name or any of the details. At the time I was inspired to run out and buy some embroidery supplies - I picked up a hoop, needles, scissors, about six different coloured flosses and some aida cloth, and also a small ready-made embroidery kit of some flowers. I remembered doing some embroidery as a teenager and I thought I could pick it up again, what a doddle.... Well, the supplies stayed in the carrier bag untouched. 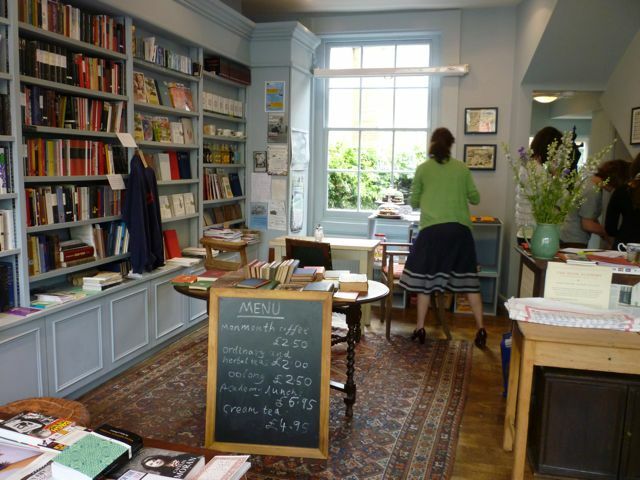 The geniuses behind the Idler have recently opened a storefront in Westbourne Grove which they have called The Idler Academy. Really it's a sort of book/coffee shop, but they have been hosting various classes, talks, salons, what have you, and one of them was a Saturday embroidery course. I figured this was the perfect opportunity to get the push I needed to get going. As it turns out, it was a perfect rainy July day for sitting indoors. The day course was taught by Sally Nencini, who works in upholstery, much of which she custom embroiders. There were five other women in attendance. Sally had pre-printed a modern sampler (designed by her husband) onto some linen sack-cloth type fabric and over the five hours, she proceeded to teach us various stitches, including backstitch (with whipped and threaded variations), chain stitch, blanket stitch, fly stitch, sheaf stitch, French and bullion knots... there was probably a few others. It's actually amazing how little you can accomplish in a whole afternoon. At the end of the day none of has had come close to finishing our samplers, but Sally invited us to grab a few skeins of thread and take them home to finish up. I really enjoyed the day - we were given a light lunch of salmon & asparagus, plus lots of tea and some cupcakes. The Idler Academy is a lovely space, though I couldn't help feeling that had I wandered into the study of a posh friend. I felt a bit out of place and awkward. I was sad to see that when an older, probably homeless, chap wandered in and sat down, and was asked if he wanted something (he scoffed at the £2 cup of tea), he was quietly shuffled out. I think the IA needs to decide if it's a store or a cafe or a meeting place. I think it would be best deployed as the latter, though I'm not sure the W2 postcode is the best place for it. I believe it was the first time Sally had taught a course in embroidery, and I found her charming, helpful and patient. A few suggestions that I would make to her would be to bring more scissors, sharper needles, and to perhaps gear the day around a simpler piece that the students could complete in the afternoon. Maybe a smaller sampler which could be framed in a hoop and hung on the wall. I think the sense of achievement in completing a small piece would be really encouraging to everyone. Also I think that £60 was perhaps a bit dear, though supplies were provided, they aren't very costly. Sally's time itself was of course very valuable and on that level I was happy with the cost. Mainly, I got some great pointers from the day and I am now fired up with enthusiasm and starting other projects!